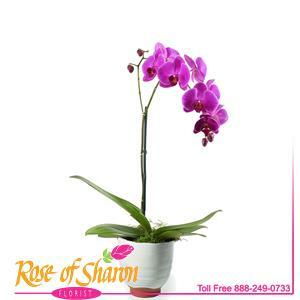 A beautiful, single spike Phaleonopsis Orchid plant rising over 20 inches from its ceramic conainter from Portugal. Blooms are approximately 3 inches wide and are very long lasting. Available in Single and Double spike plants.